Hello you lovely lot. It seems like far too long since I last posted, but I've been so busy recently time has literally run away with me. Don't you think 2016 is going rather quick? Oh hey, April, wasn't expecting you to be here so soon?! I swear it was December like two minutes ago, am I right? Anyway, I wanted to bring to you my April favourites, because a) I've acquired some fab things this month and wanted to change up my usual style of post and b) because April is my birthday month, so my favourite month of them all, so I thought the ideal post would be a 'favourites' post for my favourite month. 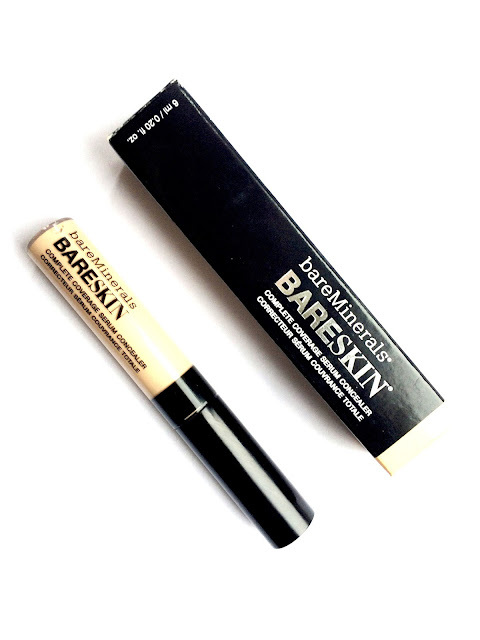 You all know me well enough by now to know of my love for Bare Minerals. They offer makeup that works so well with sensitive skin, whilst skill maintaining a good level of coverage. 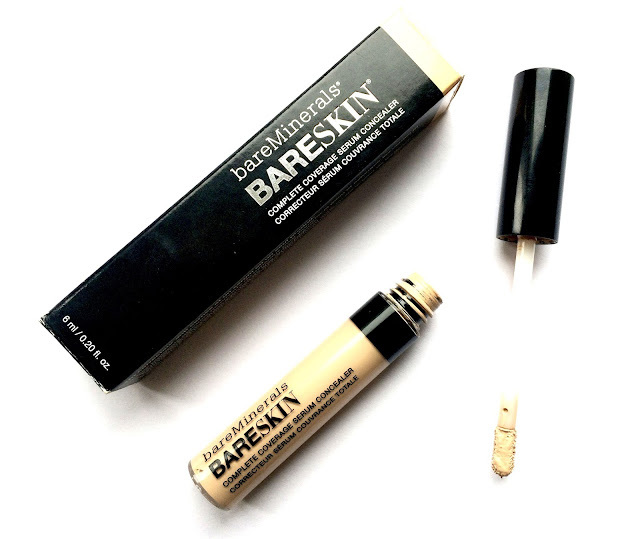 I've never been a fan of liquid concealers because I always thought they clogged up my pores, however, this Bare Skin concealer has completely changed the game. It is a serum concealer so feels so silky soft and lightweight, whilst also covering any of those pesky spots or dark areas. The wand applicator isn't too thick, so you don't end up with half the tube of concealer on your face, and is flexible so can work in the under eye area perfectly. I am a complete convert to the liquid concealer and I can't see myself going back. Whenever I go into my local Kiko, I always come out having bought something because a) I am weak and I get tempted too easily and b) because everything is so reasonably priced I just want it all. I picked up this face mask because the stress of work has made my skin flare up and I am a lover of a good face mask. 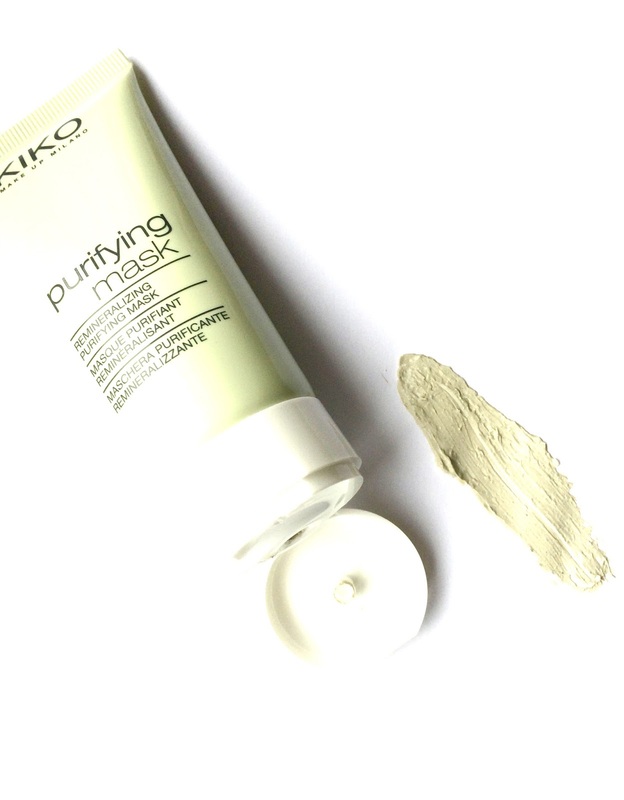 The texture is a smooth clay base with rough pieces to exfoliate. It is thick but does not feel claggy, and after ten minutes, when you wash it off, there's no rubbing or scrubbing required, all you have to do is lightly wash it off and it dissolves away - amazing! I've been using it once a week and not only has it made my skin softer, my spots have disappeared too. The downside it that this product is marketed towards oily skin, and yes, I have oily days, but I wouldn't describe my skin as oily, so it can be quite drying, however, it doesn't leave skin like the desert and void of moisture, but you will want to put some of your favourite moisturiser on afterwards. During my Kiko adventures, I also picked up this gorgeously packaged mascara, from Kiko's Limited Edition Wanderlust collection. When I walked into the shop I literally went crazy when I saw the amount of rose gold packaging before my eyes, but I kept my cool and picked up the mascara that I had intended on buying before I got over excited. The Endless Sky mascara not only looks beautiful, but has a great price tag to match. At half the price of my usual go-to mascara (They're Real! From Benefit) I was already impressed, but I'm super picky when it comes down to formula/brush head, so I was excited to test it out. As you can see, the wand has a think bristled brush, which I was slightly sceptical about, but upon using it I was pleasantly surprised. 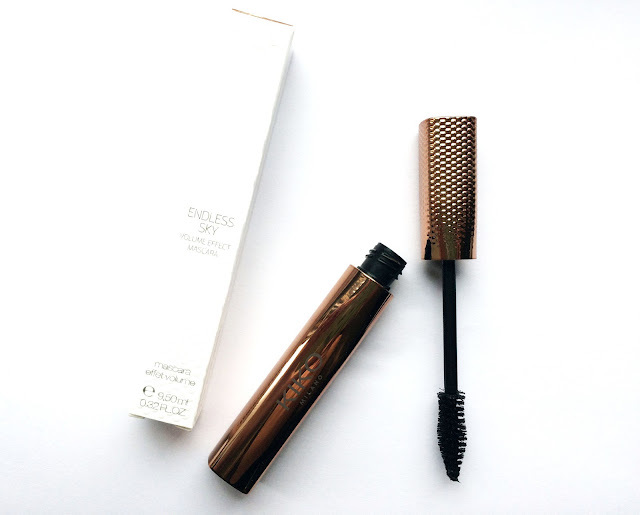 Unlike other drug store mascaras, it didn't make my eyelashes spidery or clumpy, it fanned them out and gave them added length whilst not being ultra thick or gloopy. The formula itself lasted a whole day of lectures and didn't run or smudge (I have quite teary eyes as well, so it passed the water test!). I'm not sure it is a replacement to my beloved They're Real! but it is a fabulous mascara nonetheless. I am a coffee lover, and unlike 90% of the British population, I don't like normal tea (gasp! ), sorry guys. But when it comes to herbal/floral/green teas, I love them. 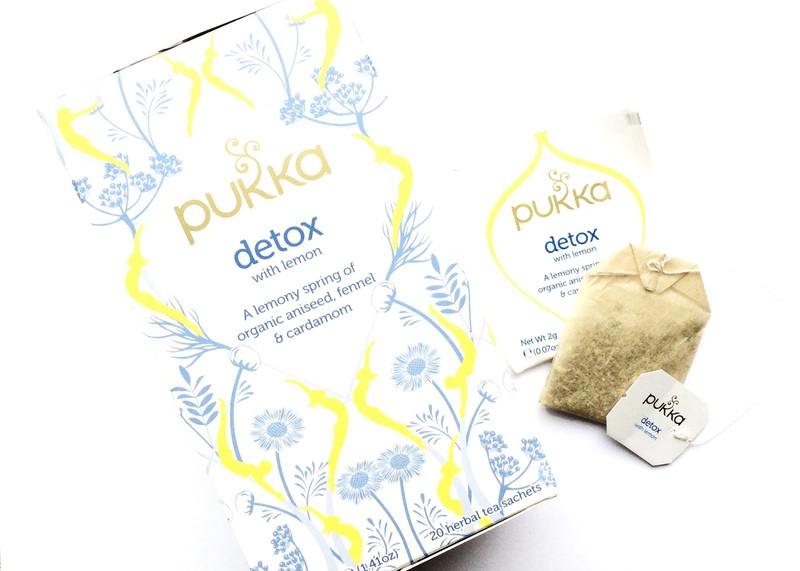 This isn't a detox tea in the sense it claims to make you shed 378764 pounds in 3 hours, but it is a caffeine-free way to boost yourself, and I love it. It has a light, fresh and floral taste, and really does revitalise. It's perfect for unwinding at the end of the day to calm, or to give you that needed boost to get out of bed in the mornings, and if like me, you like looking for coffee alternatives to liven up, this Pukka tea is ideal. The packaging is also beautifully designed inside and out and is made of recycled materials - good for you and the planet? I was sold. This product by OPI is an absolute god-send for tired nails or dry cuticles. Made from Avocado oil, this highly moisturising oil replenishes, moisturises and stops brittleness. 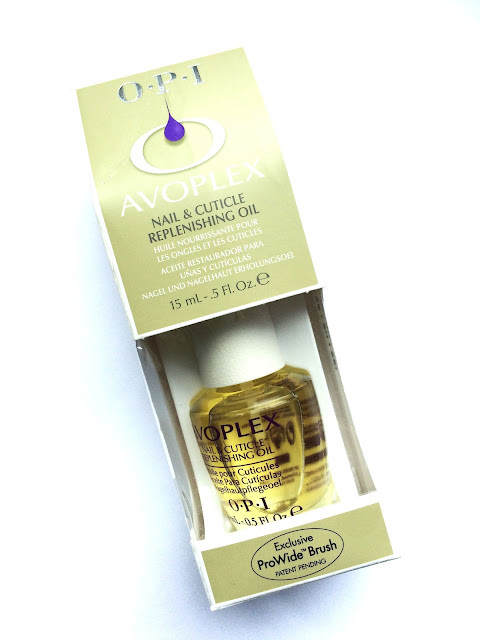 It is perfect for if you have weak nails, like me, and works a treat over painted/manicured nails to stop them from chipping. Like all OPI products, it doesn't come cheap. Is it worth it? It depends. If you suffer with dry nails and cuticles, my answer would be yes, but if not, it might be worth testing it out before you buy. So that wraps up my April favourites, I hope you enjoyed this collection of my must-haves for this month, and please comment below to let me know what you want to see next. 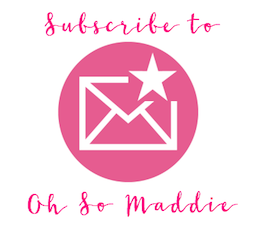 Don't forget to subscribe via email to never miss a post!